We help governments, stakeholders and communities to develop new solutions to complex problems. Our work results in innovative approaches that are profoundly evidence based and that build a bridge between people/ organisations with vastly different values or perspectives. We know that innovation matters. Decades of research has shown that innovation is the most important driver of long-term prosperity. The benefits are numerous, from more and better jobs to improved services and infrastructure. 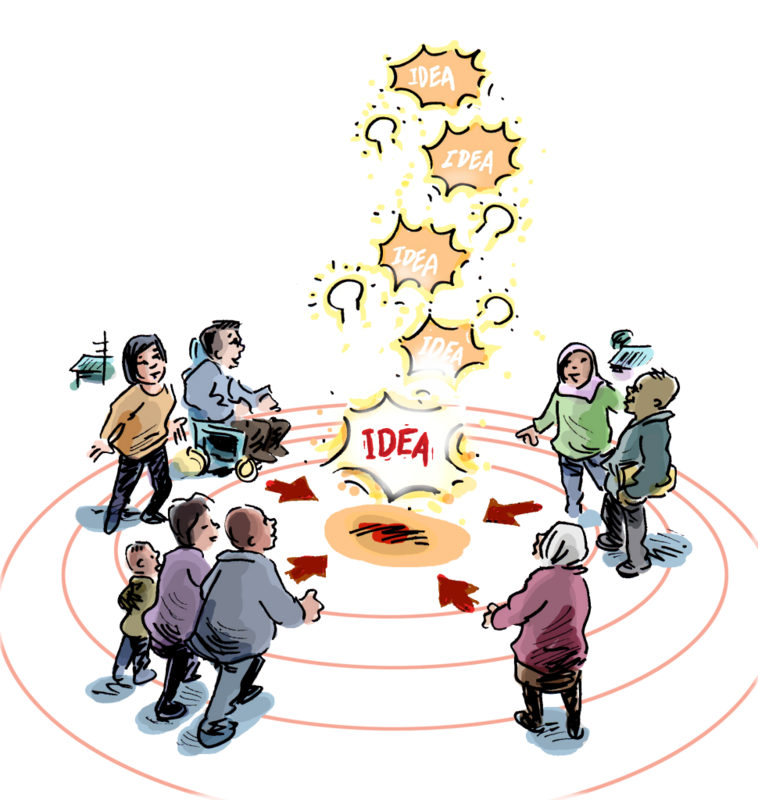 The independent charity working to increase innovation capacity in the UK – NESTA, highlights localised engagement as a critical requirement for fostering social innovation. In particular they suggest that fostering social innovation requires greater attention to the relationships between governments, agencies, community based organisations and the public/ neighbourhoods. More generally we know that bringing together individuals from diverse backgrounds and having an open conversation with them about the problem/issue results in creative thinking and new ideas. We also know, from years of experience, that groups of citizens come up with workable and achievable ideas. This occurs due to their ability to tap into the wisdom of the crowd – and to use each other to ground truth their ideas. After investing (often over multiple days) in coming up with recommendations, citizens groups want their work to go somewhere – so they make sure their work is achievable, workable and effective.